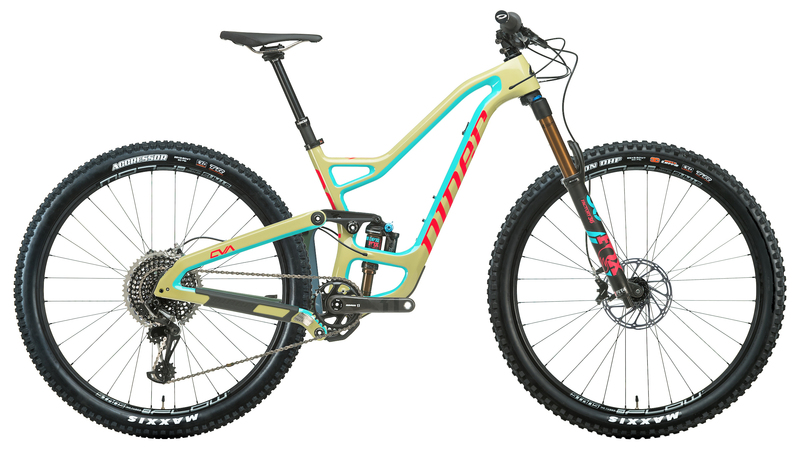 The 4-Star version of the Niner RIP 9 RDO comes with a SRAM X01 Eagle 12-speed drivetrain with 10-50 tooth gearing so you can ride up and down any terrain. The SRAM Guide Ultimate hydraulic disc brakes provide the confidence-inspiring stopping power you need for any descent and a Fox 36 Float Factory fork and Fox Float DPX2 rear shock offer industry leading suspension performance. Both have Fox's Kashima Coat which provides a durable shock that is buttery smooth. Stan's NoTubes provides the wheelset with their Flow S1 wheels which provide a tubeless ready setup so you can run lower tire pressures for increased traction and a smoother ride. If you're looking for the ultimate mountain bike, then you'll love the 2019 Niner RIP 9.